In its first glimpse of the heavens following the successful December 1999 servicing mission, NASA's Hubble Space Telescope has captured a majestic view of a planetary nebula, the glowing remains of a dying, Sun-like star. 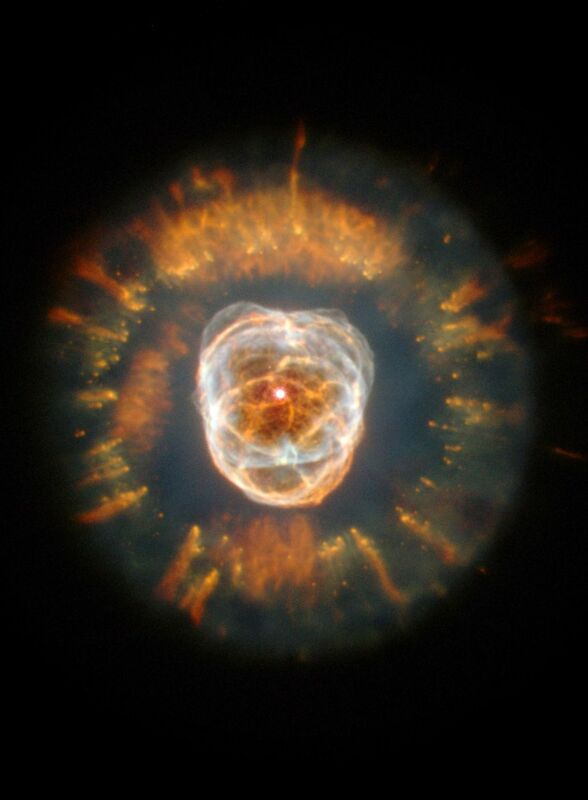 This stellar relic, first spied by William Herschel in 1787, is nicknamed the "Eskimo" Nebula (NGC 2392) because, when viewed through ground-based telescopes, it resembles a face surrounded by a fur parka. In this Hubble telescope image, the "parka" is really a disk of material embellished with a ring of comet-shaped objects, with their tails streaming away from the central, dying star. The Eskimo's "face" also contains some fascinating details. 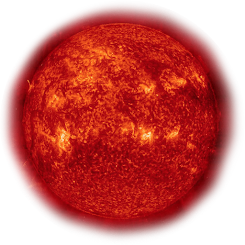 Although this bright central region resembles a ball of twine, it is, in reality, a bubble of material being blown into space by the central star's intense "wind" of high-speed material. The planetary nebula began forming about 10,000 years ago, when the dying star began flinging material into space. The nebula is composed of two elliptically shaped lobes of matter streaming above and below the dying star. In this photo, one bubble lies in front of the other, obscuring part of the second lobe.